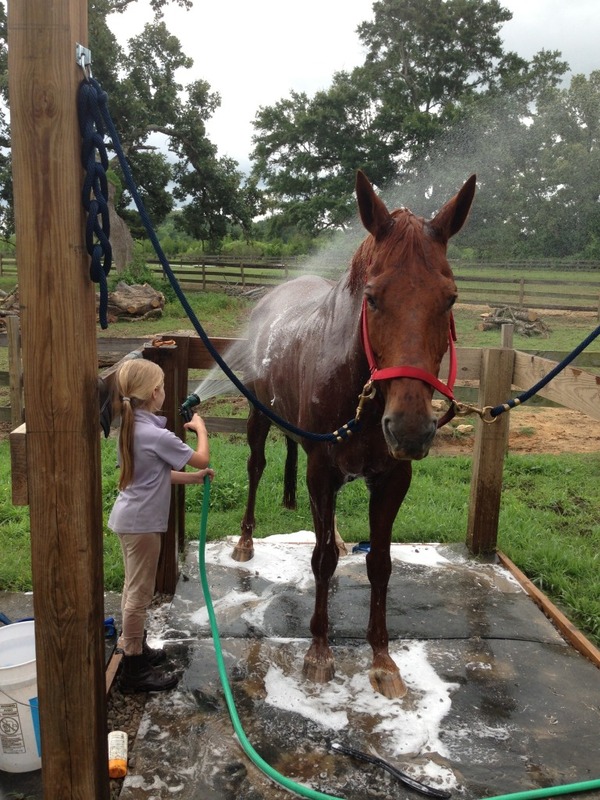 Pony camp is always a hoot. A lot of work, but a hoot nonetheless. We have a really wonderful group of kids. They range in age from 6 to 12 and they are all a blast to be around! Plus they're all good little riders. 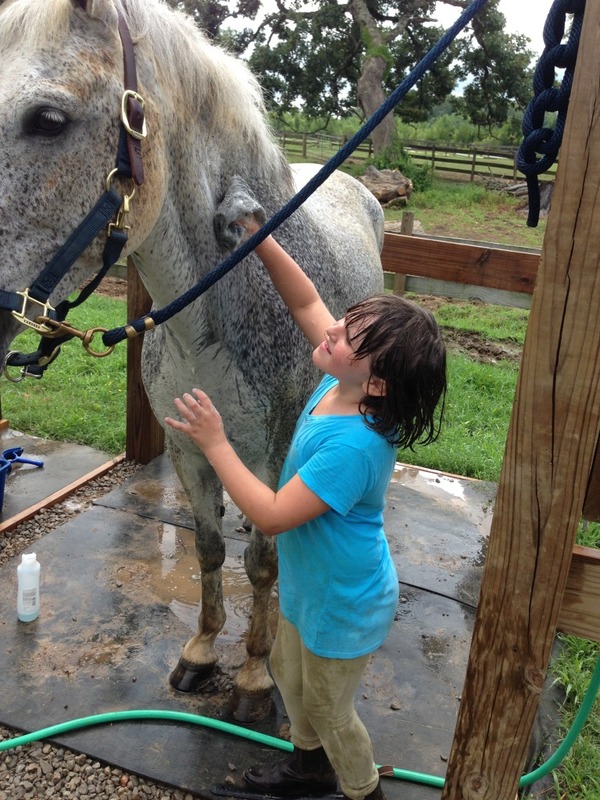 Pony camp is meant to be first and foremost fun, but it is also about learning how to be better horse people. 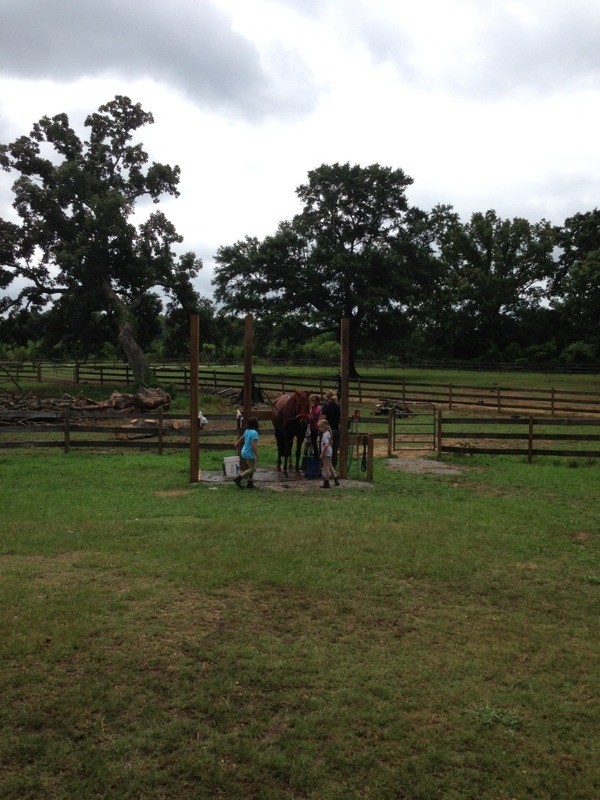 We do riding, horse management, and of course eat lots of popsicles in the hot Mississippi weather. 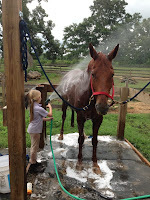 We've rolled over hump day of this year's summer pony camp and so far so good! The kids seems to be enjoying themselves. We've had minimal tears. Everyone is coming back for day four. 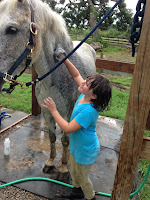 All the horses had beauty parlor day. AND we've done some great riding! Check out what the kids have been up to so far.